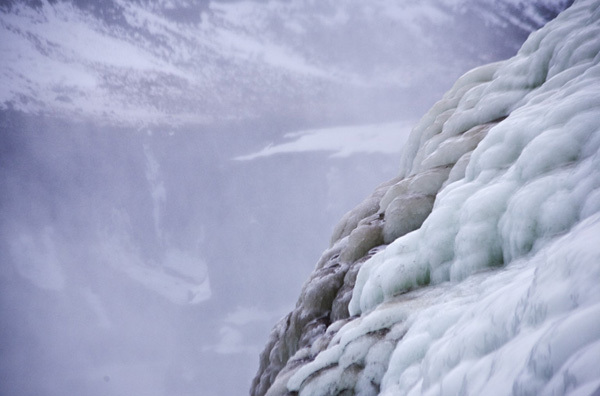 Ron and Maggie Tear Photography: Gullfoss ice. The enormous falls at Gullfoss are an amazing sight. Coupled with snow and ice a true spectacle. I honed into this froen area, the spray was freezing instantly. Gullfoss, Iceland, Arctic circle, Atlantic Ocean.